Thread: What area is best? Well, just received a email that anyone who got a Pee Dee tag is allowed to hunt in any of the other zones now, due to the flooding. Is there a area that you all know of that produces larger gators than others? I was leaning towards Marion. 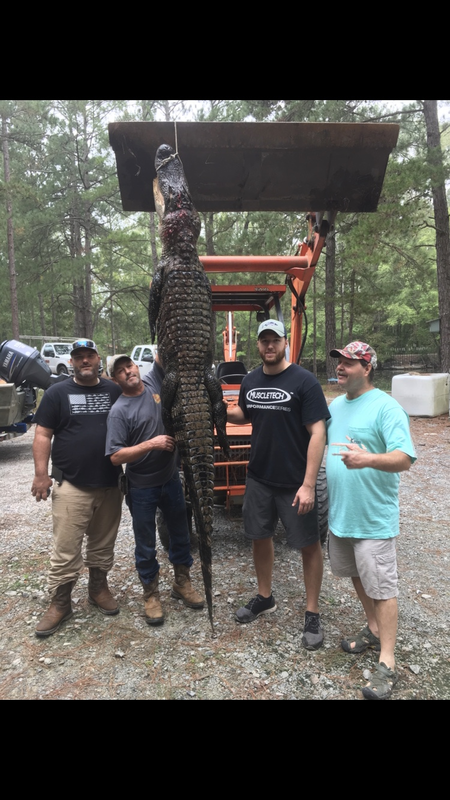 Yeah, I would assume Marion and Moultrie produce the largest gators. I hunted the northern end of Marion one year and it was a bit of a struggle. If it were me, I would probably hunt the Cooper River. We've had tough hunts there before too though. Probably Marion, since it is harder to hunt than Moultrie. Moultrie has big Gators still...but they mostly stay inside the WMAs where you can't hunt them. Cooper River doesn't have the number of big Gators it once did, and it is hard to hunt since they stay inside the grass where it's difficult to get them. Glad you were able to fill the tag. It looks a lot heavier than our 9.5 gator.